Cloud computing is rapidly transforming the IT landscape and the conversation around adopting cloud technology has progressed from "if" to "when". Although cloud services offer enormous economic benefits, they also pose significant potential risks for enterprises that must safeguard corporate information assets while also complying with industry and government regulations. 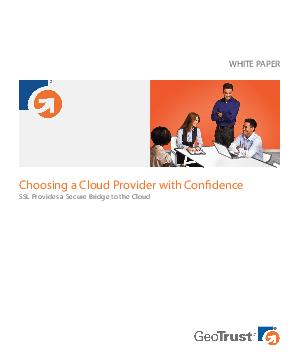 Download this paper to better understand where and when to use cloud solutions and the ways in which SSL can help you conduct business in the cloud with confidence.